The show is over, and what a show it was! After months of preparations and ballots going out to thousands of SoulTrackers, the winners of the 2010 SoulTracks Readers' Choice Awards were announced during our international broadcast on December 7th. Many thanks to our host, Jodine Dorce, Fusicology's Nina Morena and all of the stations around the world that carried the broadcast. The Harlem Renaissance remains exciting, inspiring, and irresistible in the first half of the 21st Century for the same reason that the many people who lived it found it exciting, inspiring, and irresistible in the first half of the 20th Century. Despite the soul-crushing challenges of war, racism, sexism, and political oppression of every kind, poets of the Harlem Renaissance shined a light of hope with the defiant brilliance of their songs, visual artists empowered their communities with the strength of visions that reinforced individual dignity, writers lent the power of their pens in service to the voices and lives of their people, and advocates for democracy stood their ground until justice was duly recognized and properly served. In this, the world’s first Encyclopedia of the Harlem Renaissance, we do something more than witness the triumphs and tragedies of poets such as Langston Hughes and Jean Toomer, novelists like Ralph Ellison and Zora Neale Hurston, musicians like Duke Ellington and Charlie Parker, and performance artists such as Lena Horne and Paul Robeson. Through their challenges and victories, we are encouraged to identify and claim our own challenges and victories. Encyclopedia of the Harlem Renaissance takes us inside the clubs, theatres, and relationships that made Harlem, New York City, the one-time “Party Capital of the World,” and one of the greatest cultural centers of any era. It also places on bold display the genius that gave the world ragtime, Jazz, the blues, gospel, swing, and all night dancing. Whereas previously we thought of the Harlem Renaissance primarily as the literary achievement of a handful of writers, Encyclopedia of the Harlem Renaissance demonstrates that it was a triumphant exultation of creative genius across the cultural board and one that spread both nationally and internationally. Moreover, through leaders such as James Weldon Johnson, A. Philip Randolph, and W. E. B. Du Bois, it laid the foundation for what would grow into the extraordinary Civil Rights Movement of the 1950s and 1960s. This is the kind of book one is happy to share with another but even happier to give as a gift while keeping one’s own. 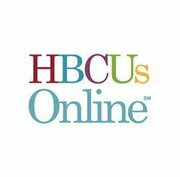 "Whereas it might be erroneous to claim that the literature, art, and music of the Harlem Renaissance revolutionized the practice of democracy in the United States, it would not be an error to point out that the ideas they championed did impact on America’s understanding, and subsequently its application, of democracy. The absurdities, contradictions, and hypocrisies of the racist mentality that ruled America was publicly dissected time and again to clarify the painful difference between what the country proposed to do in the name of freedom and what it in fact did do under the presumptions of white superiority. Harlem Renaissance writers and artists fashioned a powerful mirror of conscience that forced the United States to confront the reality of its moral and political failures in regard to its citizen “Negroes.” By promoting and sharing the experience of black culture the men and women of the Harlem Renaissance set in motion the mechanism that would allow the idea of “Negroes” as Americans to become in the long decades that followed, the reality of blacks as African Americans. " When Mama and Great-Grammaw weave the striking cornrow patterns of Africa into their children's hair, their gentle voices also weave a tale full of pride and heritage. We will create a society with new social and economic realities that inspire ambition and hope among African descendant males and accommodate the pursuit and realization of their dreams. We will initiate and support efforts that restore aspiration among and create conditions for African descendant males to realize their destiny and contribute greatness to the world. We believe this endeavor advances humanity and increases our collective capacity to heal injustice. To collaboratively develop and implement an initiative for the educational, social, emotional, physical, spiritual, political and economic development and empowerment of African descendant men and boys in the United States. • Raise the visibility of critical issues facing Black Men and Boys nationally and in select local communities in a way that informs substantive action and positive change. • Develop effective strategies and effect positive change on the circumstances and conditions which negatively impact Black men and boys by closing the gap on negative indicators. • Foster the development of programs and systems that will positively impact the understanding, knowledge, values and skills that enable Black men and boys to succeed in an American society. • Develop and sustain partnerships and coalitions that reflect the needs of Black men and boys and impact systemic change. • Develop and steward financial resources, (which exist within and external to our communities), by maximizing existing resources and continuously surfacing new sources of support from individual donors, community organizations and institutional philanthropy to supplement this effort. The idea for this initiative emerged from a series of discussions among national organizations, philanthropists, community-based organizations, and concerned individuals who noted that a Black boy born in 2007 will be 18 years old in 2025 and there is a need for a change in paradigm for both our leadership and the people. Beginning in October 2005 with a National Conversation on Black Men and Boys co-convened by The Twenty-First Century Foundation (21CF), the NAACP Legal Education and Defense Fund, Public/Private Ventures, and the National Urban League, brought together more than 40 national and local leaders including adults and young people to assess the many challenges facing this group. At a follow-up meeting hosted by the Ford Foundation in July 2006, more than 120 participants representing 22 co-sponsoring organizations gathered to move the process forward. Attendees underscored their collective commitment to improve conditions for the generation of Black boys currently being raised and for the adults who support them. As a tribute to the heroic legacy of Dr. King, Jr., Allstate will honor four individuals as Allstate Give Back Day Heroes. These four GBD heroes are African Americans from all over the nation who devoted their time and energy as silent influencers in their communities. Jon Wall - Atlanta, GA.
Each hero has helped to create positive, sustainable change in their communities by volunteering to address important causes like domestic violence, elementary education and mentoring at-risk youth. Allstate Give Back Day program also encourages all Americans to be everyday heroes by volunteering locally on MLK Day 2011 (January 17), and throughout the year. Please let me know if you want to find out more about Allstate Give Back Day heroes. For more information, you can also visit www.allstate.com/GiveBackDay to find videos and full profiles. This landmark publication, which is superbly illustrated with high quality photographs, maps and drawings, provides an extraordinary and cutting-edge synthesis of the archaeological data, the documentary evidence, and the historical linguistic research. It recounts the fascinating story of the origin and development of indigenous civilisations across the vast panorama of the African continent. In particular, the author answers the key question in Black history: How much documented history is there beyond the Slave Trade, Mary Seacole, and Malcolm X? In 713 pages that question is answered again and again with a vast array of evidence that explodes the widely held view that Africans were without historical distinctions. In particular, there are ancient and medieval monuments that are still standing all over Africa. In addition, there are Black families and institutions that still possess their medieval manuscripts. The history of Black people cannot be divorced from the history of peoples on other continents particularly Asia, Europe, and the Americas. Topic areas that have traditionally been ignored, such as Black Women's history, early African science and technology, and the two-way influences between Africa and Europe, are also discussed. 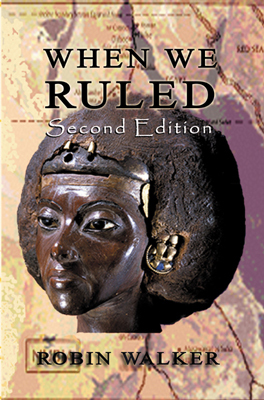 What is remarkable about this work is that for the first time it dares to connect Egypt, and its cultural affinities, with Africa and its chronological timeline within the vast chronology (nearly 90,000 years) of African achievement. It is now untenable for Egyptologists to consider themselves to be experts on Egypt without understanding the African cultural signature embedded within Ancient Egypt and its long history. Faculty, students and parents interested in a comprehensive, critical and balanced overview of African or Black history will find no better book. * Kidjo's tenth album 'OYO', released by Razor & Tie, has just been nominated for the 2010 Best Contemporary World Music GRAMMY. * She performed on Late Night with Jimmy Fallon with Legend and The Roots on July 27. * She traveled around Africa, fulfilling her duties as UNICEF Goodwill Ambassador. * Kidjo received an honorary doctorate from Berklee College of Music. * She sang on the Preservation Hall benefit album with Terence Blanchard on the song "La Vie En Rose." * The Commission of the African Union (AU) named Kidjo a Peace Ambassador. * Kidjo appeared at the Monterey Jazz Festival, the Vancouver Olympics, the Montreux Jazz Festival and The World Festival of Black Arts and Cultures among other premiere festivals/events in 2010. * She will speak at the 2010 TEDWomen's "Reshaping the Future" conference, Dec. 7-8, 2010, in Washington, D.C. The program highlights women as powerful innovators and architects of change. * She received the Officier Des Arts Et Des Lettres award from the French Government. * Her Batonga Foundation is partnering with the African Well Fund and Africare to provide hand pumps and clean water to Batonga girls in Benin. For more information on Angelique Kidjo, please contact Nick Loss-Eaton (nlosseaton@shorefire.com) or Lauretta Charlton (lcharlton@shorefire.com) at Shore Fire Media: 718.522.7171.